Bio: When he came to Cornell, Jason was extremely excited for his new adventures on the East Coast. Although he escaped far from his home in California and left several of his old hobbies due to the rigorous academics, Jason wasn’t willing to give up his musical interests. Throughout middle and high school, Jason was immersed in classical and jazz music. He learned several wind instruments such as alto saxophone, soprano saxophone, oboe, flute, and the clarinet. 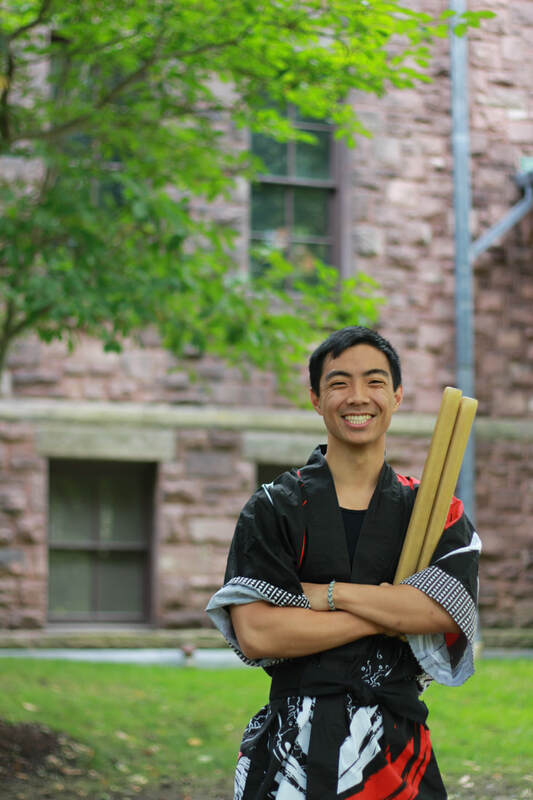 Initially wanting to join some jazz ensemble or symphonic orchestra at Cornell, Jason immediately changed his mind after watching Yamatai perform at Clubfest during his freshman year. Amazed by the art of taiko, Jason was ecstatic to pursue a totally new musical art. Although unable to pass the final round of tryouts during freshman year, Jason was even more determined to become part of Yamatai. Now that he has made it after his second try, Jason is looking forward to the new and future years of taiko drumming and being part of the Yamatai family! Dislikes: Empty fridge. And cucumbers.